With the season officially saved, the NHL's next order of business is making some actual money for its players and owners. For the fans, we all sit and wait to see what we do in response to 112 days of "eff you, fans. We don't need you" from just about everybody involved. I predict they say a lot of kind words about the fans and nothing more. At Least that would be a step up from how they've been treating us for the last 3 months or so, which was when they pretended that we didn't exist. Like coworkers ignoring their boss, and their work, while arguing over how they're going to spend their salaries for the next decade. I predict that we will see minimal reactions from fans, arena workers and media as well. People will talk about being mad, but after a few weeks we will all crawl back to the slop bucket for another taste of our addiction. We love hockey and, in the end, we don't really care too much about it loving us back. So, like any other vice, if you want to do something about purging yourself from it, or at least minimizing your dependence on it, you must actually get up off of your couch and do something about it. For me, I want to commit myself to not buying anything that gives money to the players and the owners. I'll be reasonable and try to keep this up for at least the entire shortened season. That means no ticket buying, no merchandise, and no special tv packages. Other than that, I can watch the games on tv and even head out to the fine establishments that show the games. I know that this mini-protest isn't really that much of anything significant in the big scheme of things, but for me, it's a small step towards justice and what i would consider an important reminder to myself. Which would be that if these greedy people are going to stop playing hockey every 6 or 7 years to argue over billions of dollars, then at least they won't be arguing over anything I've given them. 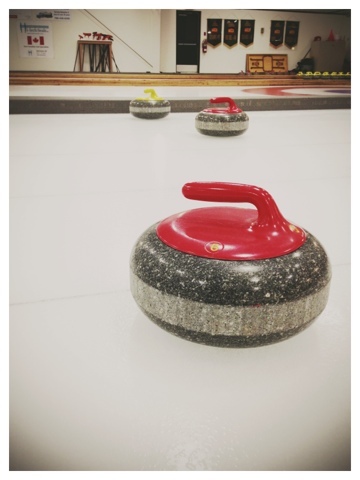 Maybe the next time they decide to stop playing I can find something else to do and drop the whole hobby altogether and pick up something awesome, like curling. The awesome thing, really, though it hurts to say, would be if I don't go to another NHL game for a good, long time.